Gillespie’s has been family owned & operated in Fairfield, CA since 1934. Ben & Marcy Gillespie were the original owners until 1975, for a total of 41 years. Gillespie’s is currently owned & operated by the Hoover family. Russ & Char, Monte, Craig & Steve. We are celebrating 34 years of ownership this year. In 1934, Bernard and Marcy Gillespie started the business and operated from their home. In 1941 they built what is now the Daily Republic Newspaper and conducted business there until 1963. The original Gillespie’s was a dry cleaning/laundry business. In 1963 the Gillespie’s moved their operation to 1363 North Texas Street and started area rug, upholstery, wall to wall carpet as well as drapery cleaning. In 1975 Russ Hoover and John Hardwick bought the business from the Gillespie’s. At first Monte Hoover, son of Russ Hoover, and John Hardwick were the only employees. Russ was a financial partner and worked weekends for the company. In 1976 Charlene Hoover came to work as the office manager and Russ started to work full time. Next, Craig and Steve Hoover started working and the whole family was involved. In 1978 Gillespie’s started performing Water & Fire Restoration work. 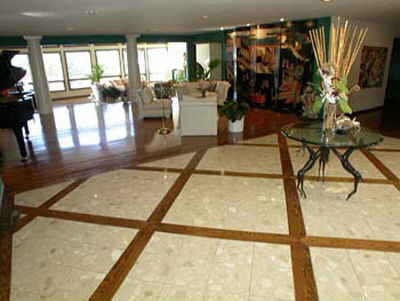 In 1980 Gillespie’s added floor covering sales to their list of services and goods. In 1983 John Hardwick was bought out by Russ and Charlene Hoover and they became sole proprietors. In 1985 Gillespie’s became a corporation with 10 full time employees, several sub-contractors and part-time employees. 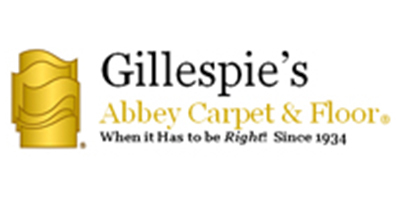 In January 1987 Gillespie’s Carpet Center, Inc. was relocated at 416 Union Ave. Gillespie’s also became an Abbey Carpet member. The old building at 1363 North Texas Street had become too small for the growing business and more space was needed to service the growing communities. In 1996, Gillespie’s Abbey Carpet made its final move to their current location, a 15,000 sq. ft. custom designed building located at 360 Chadbourne Road. Russ & Charlene retired in Sept. 2004 & relocated to Chiloquin, Oregon. 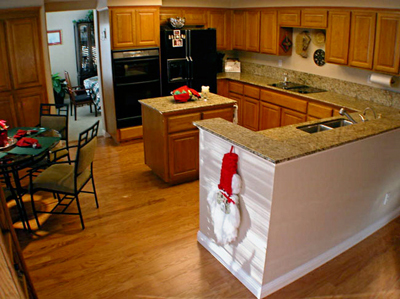 “Gillespie’s has performed above & beyond our expectations." 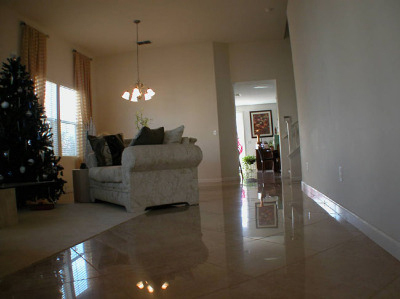 “Gillespie’s is one class act, from start to finish, they did it RIGHT! 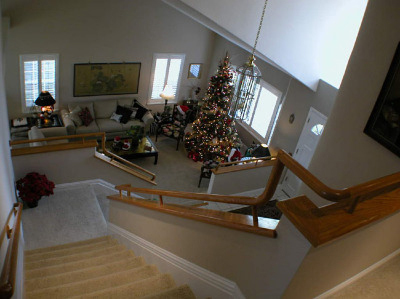 Our home is simply gorgeous, thanks to Gillespie’s"
“Gillespie’s Staff & Installers are friendly & professional. It was such a wonderful experience doing business with Gillespie’s. I would definitely recommend them."